Huemor Designs is the community to connect with when you get serious about optimizing your online presence for the purpose of generating more substantive conversion rates. 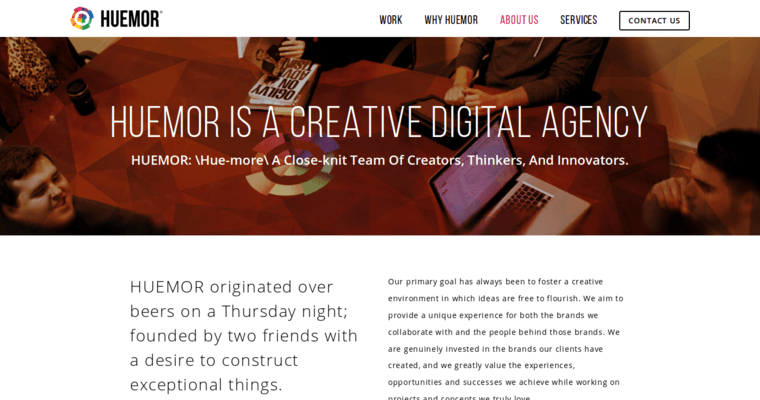 The representatives of Huemor Designs are consistent in designing and updating incredible websites that are both visually appealing and highly functional. Also note that the sites developed by the Huemor Designs professionals are optimized for cross compatibility through the use of high quality responsive web design techniques. Finally, the Huemor Designs techies know that each business owner has a distinct set of personal values and professional goals. As such, they listen carefully to each client for the purpose of ensuring that her or his needs are always understood and addressed. Choose Huemor Designs to get your company moving forward online!